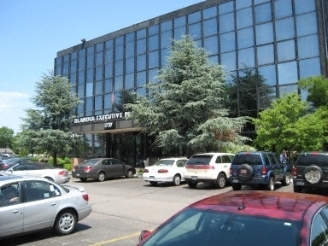 The building is also known as Islandia Executive Plaza, look for the large 4-story black glass building. L.I.E. – Take L.I.E. (495) East to Exit 57, Vets Highway (Rt. 454). Make a right at the SECOND light onto Veterans Highway, heading South/East. Continue on Veterans Highway until the SECOND light, Sycamore Ave. There will be a Walgreens on the corner. Make a U-turn at the light and head West on Vets Highway. The office will be on the right side (1727 Veterans Highway). Alternative L.I.E. – Take L.I.E (495) East to Exit 58, Old Nichols Road. Make a right at the light onto Old Nichols Road. Take Old Nichols Road, heading South/East to Veterans Highway. Make a right onto Veterans Highway. After passing Sycamore Avenue, the office will be on the right side (1727 Veterans Highway). Sunrise Highway/Southern State Parkway – Take Sunrise Highway (Rt 27) East to Exit 46, Carleton Ave (Rt 17) IF you are taking the Southern State, it will be Exit 43A. Follow the signs to take Carleton Ave North. Continue on Carleton Ave to Suffolk Ave (CR – 100). Make a right on Suffolk Ave, heading East until Vets Highway (Rt 454). Make a left on Vets Highway. The office will be on the right side, after the first traffic light (1727 Veterans Highway). L.I.E. – Take L.I.E. (495) West to Exit 58, Old Nichols Rd. Make a left turn at the light onto Old Nichols Rd, South. Follow Old Nichols Rd to Vets Highway (Rt 454). Make a right onto Vets Highway, heading West. The office will be on the right side, after the first traffic light (1727 Veterans Highway). Sunrise Highway/Vets Highway – take Sunrise Highway West to Exit 51, Nicolls Rd. (Do not go onto Nicolls Road) Take the second exit off the service road to Vets Highway (Rt 454) West. Continue on Vets Highway approximately 7 miles. The office will be on the right side (1727 Veterans Highway).